Concentrated daily/weekly renovating cleaner that gradually builds a slight sheen. 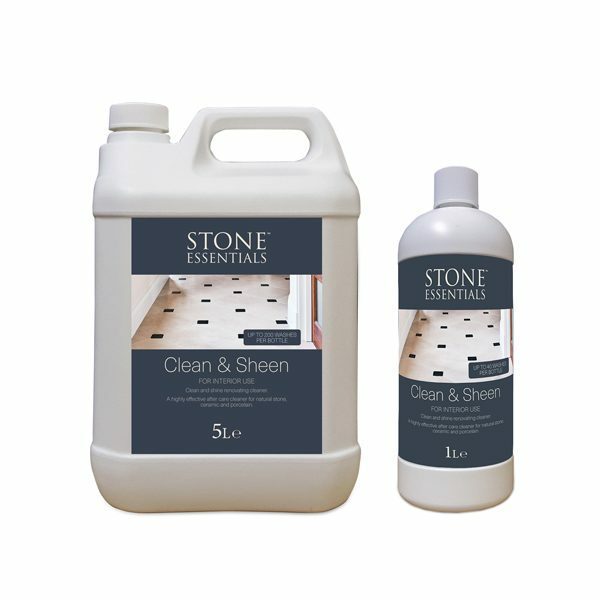 Ideal for cleaning surfaces finished with Stone Essentials Stone Shield. For use on: For unpolished natural stone, terracotta and cement tiles. Coverage: Up to 40 washes per 20m2 per litre. 1 Litre and 5 Litres.